Situated at the end of a quiet,safe,flat cul-de-sac sits this stunning private Oasis. Enter the home to soaring vaulted ceilings with formal liv/din room and Executive Office. The main floor boasts a chefs kitchen opening to the casualdining and family room.French doors open to the 'Stanley Park' like outdoor space,completely private with an outdoor gas fireplace and BBQ. Simply breathtaking and absolutely perfect for Entertaining. Four beds up all with ensuites including a spa-like master bath and walk-in closet.5th bedroom down as well as a spacious Rec Room. 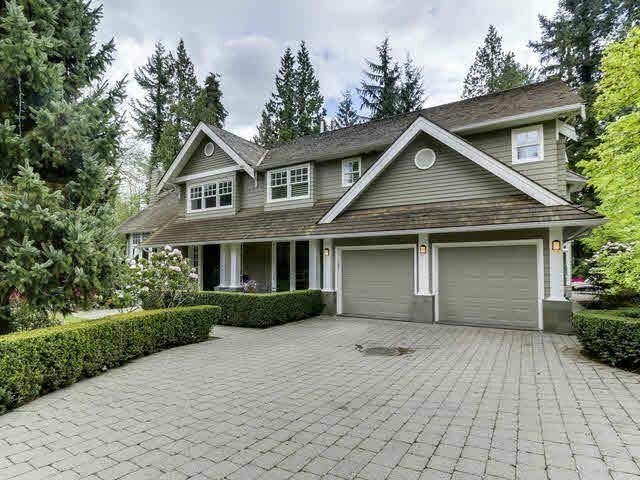 This wonderful family home sits comfortably on an Estate sized 29,839 sqft lot in the perfect central location only mins to Park Royal,Schools & Downtown Vancouver.